KAPOLEI, OʻAHU – The Department of Hawaiian Home Lands’ (DHHL) affordable housing pilot project successfully converted another 19 Hawaiian Homestead families from renters to homeowners today. 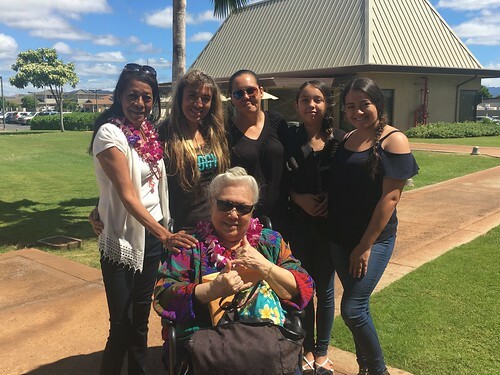 With the addition of these lease conversion homesteaders, more than half of the families living in the Malu‘ōhai community have now fulfilled their dream of becoming homeowners. In partnership with Mark Development, Inc., the Kapolei Ho’olimalima Pilot Project utilizes 15 years of Federal Low Income Housing Tax Credits (LIHTC) to help families by converting them from renters to homeowners. Launched in 2001, the Kapolei Ho‘olimalima Project offered rental homes to Hawaiian homes beneficiaries making 60 percent or less of the area median income. Monthly rent for the three and four-bedroom homes ranges from $1,041 to $1,453 during the 15-year LIHTC rental period. With the funding coming from the department’s NAHASDA (Native American Housing Assistance and Self-Determination Act) Program, the families were able to convert from rental to home ownership. The purchase price on these homes ranged from $64,939 to $78,810 with an average monthly mortgage of $300 per month. The tax credits earned over the life of the 15-year project raised over $6.7 million in equity, which was passed onto the native Hawaiian renters who exercised the purchase option offered to them.